Wow, I can't believe April is coming to a close already... but that means it's time for another challenge over at Tattered Lace! To make this card, I've used a Cream card base, then found a lighter cream paperstock (roughly 120gsm) to coordinate. I ran my base paper through my Jus-Cutz using an 8x8 Crafters Companion Rose Vine Embossalicious folder, then inked the edges using Gathered Twigs Distress Ink. I cut a strip of plain cream to go across the card, offset towards the top, then added a couple of thinner strips along the top and bottom of that to add a little bit of dimension. I've used one of the large Spellbinders circles as my plaque to arrange the flowers onto, again inked with Gathered Twigs Distress Ink around the edge. I cut out three per medium & small Lavish Blooms Poppy flowers - I wanted to make the roses and used the basic technique of cutting out petals to layer them inside each other (snip to the centre of the first, take a petal out of the second and two petals out of the third - overlap and glue the petals to decrease in size each time). I inked the edges a little and then arranged these with the largest in the centre of my large circular plaque. I then cut out four rough circles, coiled them to the centre with my scissors and twirled to make the extra fill-in flowers. I then took my favourite dies (The Florentine Flourish) and ran them through plenty of times to get lots of cream swirls. I inked them a little and poked them from every angle of the arrangement to fill out the card. Finally (to stick to the Romance theme!) I added a sentiment cut up from our Unique Sentiment set which launched yesterday on our website in the lower right corner of the card. Don't forget to join in with the fun on the challenge blog here - we'd love to see your creations! 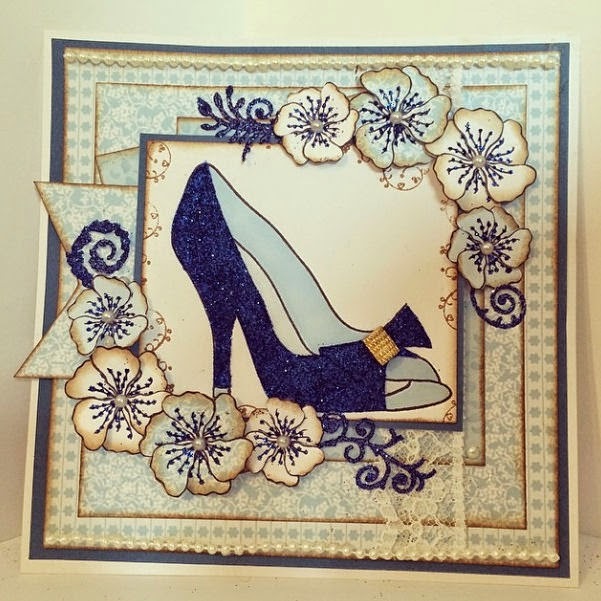 Well we've been busy this weekend incorporating the brand new Tattered Lace Pick of the Day dies into our cardmaking... which has been so fun! Here's one of my favourite creations with their new Venetian Collection which will be launching on Ideal World at 9pm tomorrow (Tues 15th of April). I know you're going to LOVE it! 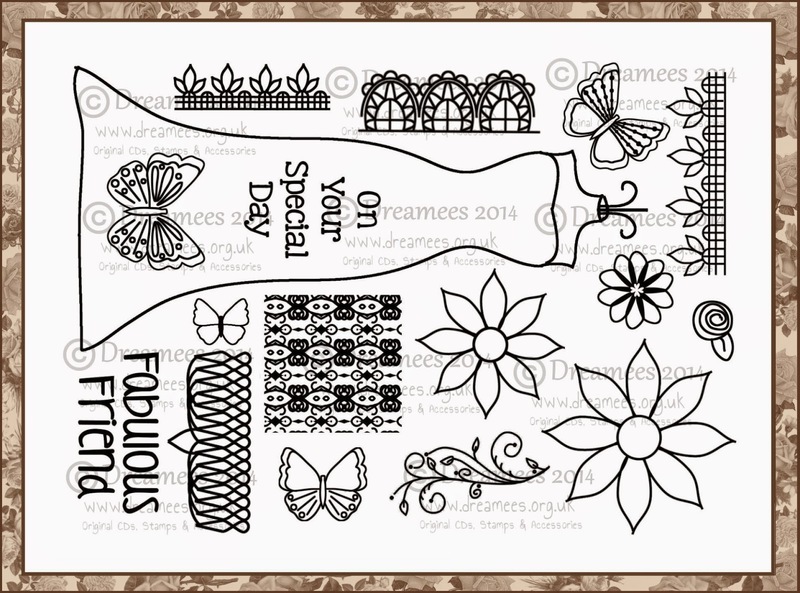 You'll be able to find the entire set of dies on the Ideal World website here. I've used the Venetian Floral dies to create the blue daisies, and then I've cut out five of the Venetian Fern die-cuts, chopped up the heart from the centre and fanned them around to create a gorgeous, large flower! All the extra swirls, leaves and what-not are bits chopped off of the Venetian Fern die and the Venetian Accent die! I've then used an upcoming butterfly (A bit naughty, I know!) which will be launching on Create & Craft with us on the 25th of April at 10am. And then I've used a Unique Sentiment on a plaque. All stamped in Gathered Twigs Distress Ink. Now for the inside of the card, it's sort of a tri-fold card (and very similar to the tag card I did on C&C a few weeks ago). The middle panel is simply a rectangle and the two outside pieces are shaped using the Frame die, slightly different in width. I've used some gorgeous lace, the Venetian Fern die and a sentiment from our Dresser Stamp Set on the left panel. I used the Venetian Accent (chopped off the ends), a blue feather, bow & our favourite Recipe stamp! I hope you like it - I can't wait for you to see the dies on TV tomorrow, I'm sure you'll love them! I've got a sneak peek at a few new stamp sets coming to our website on the 11th of April - you've seen three before, but we've got an extra addition! 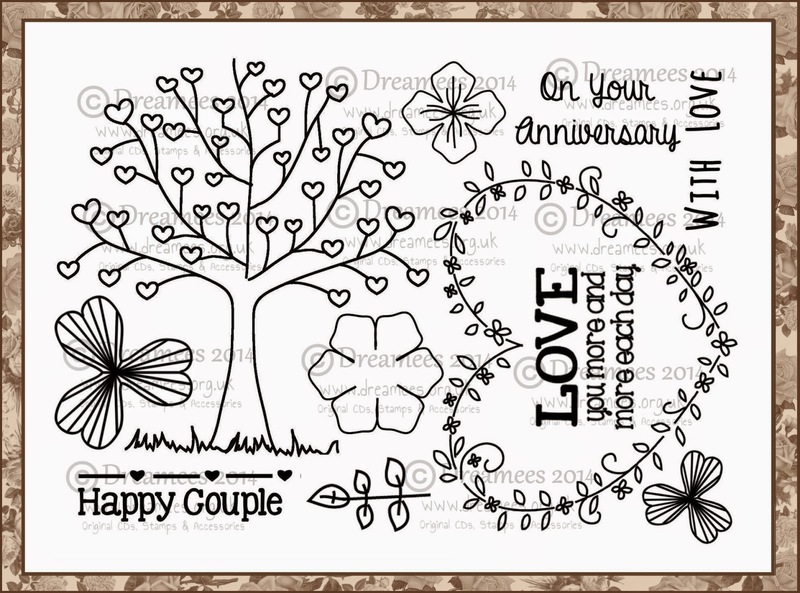 Here are the stamp sets... just £9.99 each! To make this, I've used backing papers from a new CD which will be launched on C&C on the 25th of April (Sorry, I didn't realise until just now that it wasn't available yet!!). To ink the edges, I've used my old favourite: Gathered Twigs distress ink and my Clearsnap Blending Tool which is fab and so easy to use! 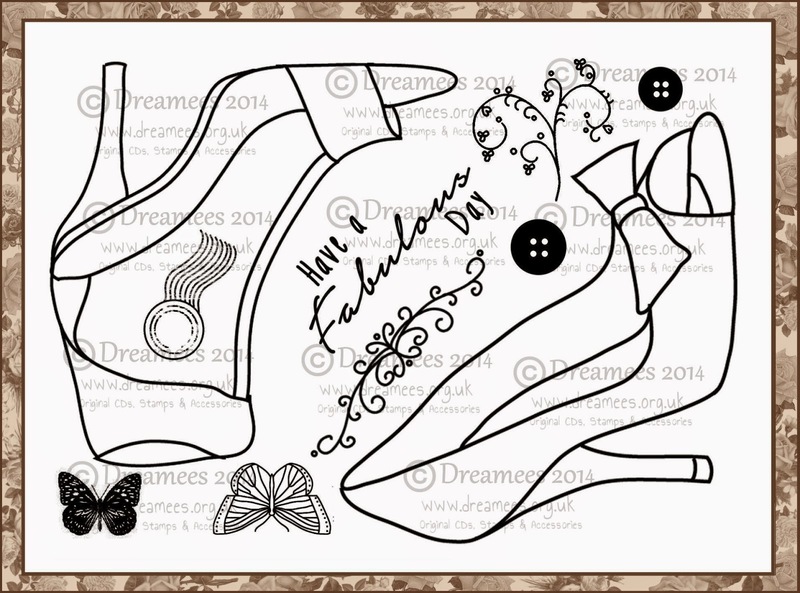 The stamp is from our brand new Elegant Shoe stamp set which will be available online at 9am on the 11th April, I'll be sure to email out to let you know so if you're not signed up to our newsletter, you can do so down the left side of our website. To make the topper, I used some double-sided sticky sheets (I got mine from Joanna Sheen for just £4.99 per pack of 5 here, I stamped the image once onto my topper piece and added swirls around the edges to decorate. Then, I stamped my shoe a second time onto excess paper, adhered my double-sided sticky sheet on top and cut out the front part of the shoe. 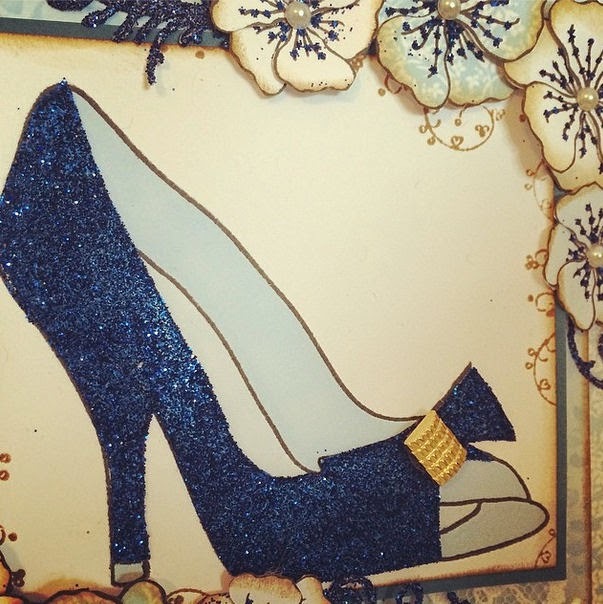 I then used our upcoming glitter Deep Ocean to cover this piece, then layer it on top of my first shoe. I've used a vintage button for the centre of my bow too! The gorgeous flowers around the edge are from our Essential Flowers stamp set, I've stamped them onto patterned paper, white paper and pale blue paper, inked the edges and then added tiny dots of glitter using my Quickie Glue pen - this has added the gorgeous sparkle on the line detail! Then... I've used the offcuts of my double-sided sticky paper, stuck them onto plain white paper and ran them through my Grand Calibur, using the gorgeous Florentine Flourish die from Tattered Lace! (They're my go-to swirls since they're so delicate... and just generally gorgeous!!) I've then taken the backing off and dipped them into my Deep Ocean glitter again... aren't they stunning? Hope you like the card - see you soon! We're so very, very pleased to announce that Carol has joined the blogging DT at the Tattered Lace Challenge Blog! 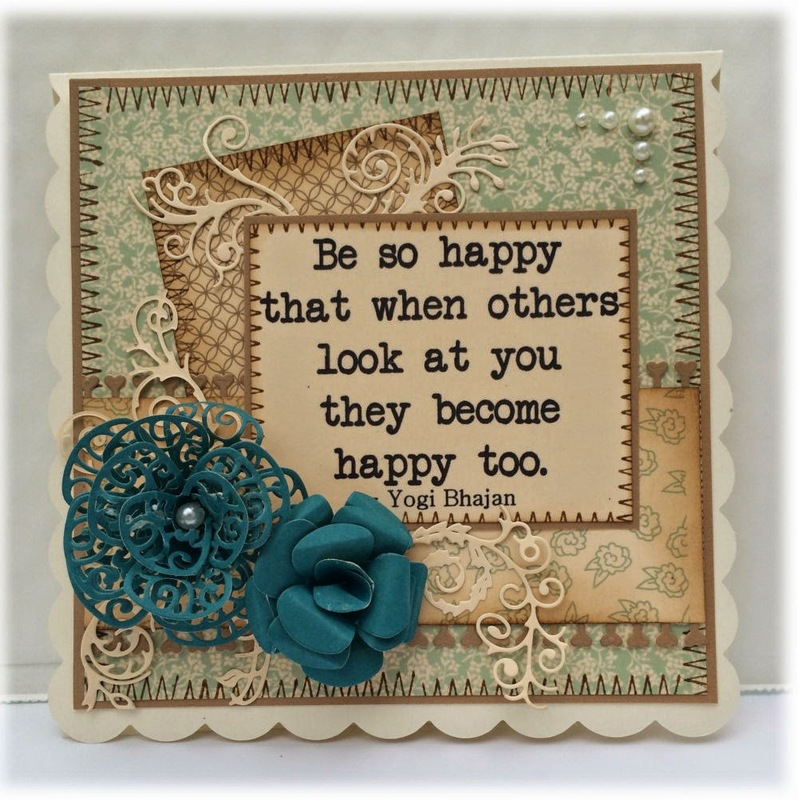 Here's the first card made using the gorgeous Lavish Blooms Die set for the very first challenge! For this card, we've used the Dreamees Pretty Projects Templates & More CD - the brown paper, teal paper for the flowers, backing papers and sentiment have all been printed off of the CD onto cream paper (colours used are Mint, Brown and Teal). 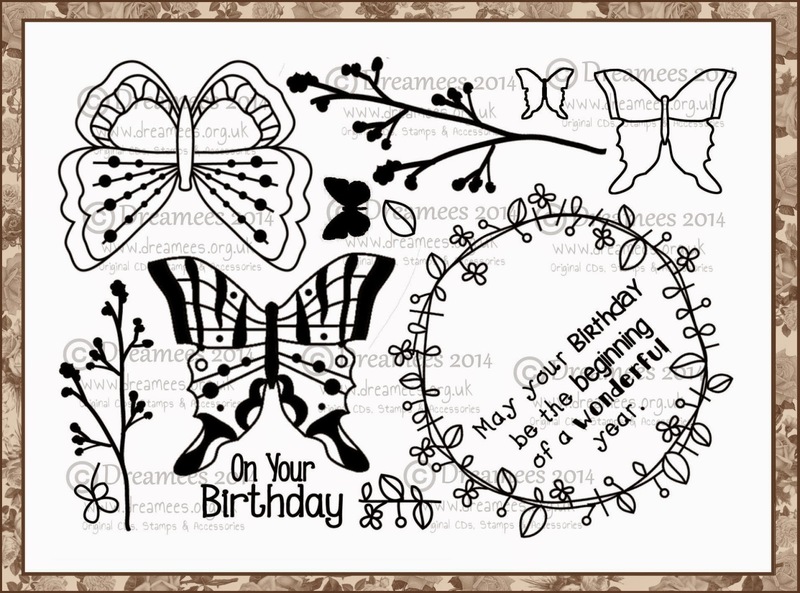 They've all been layered onto a cream 6x6 scalloped front card blank. The edges of each layering piece have been distressed using Gathered Twigs distress ink and then stamped using the Stitching stamp from one of our latest stamp sets: the Dresser. For the border across the card, one of the Lavish Blooms Stamen dies has been cut from brown paper and then glued along the top and bottom edge of a strip of backing paper, to give the effect of a punched edge. This one uses the heart stamen which is fast becoming one of our favourites! The gorgeous cream swirls are another Tattered Lace die set called the Florentine Flourish - it's so versatile and perfectly sized to fill out a flower arrangement (I love it!). The flowers were made using the Lavish Blooms Poppy die set - we've used a typical rose technique to make both flowers, cutting out three of each design and layering them inside one another - we've got a video tutorial of this flower making technique available HERE. We've also added a pearl in the centre to embellish it. Finally, we've used a few different sized pearls to create a corner to finish off! Don't forget to pop over to the Tattered Lace Challenge Blog to enter your creation using the Lavish Blooms collection - the dies always create stunning results since they're so intricate and delicate! 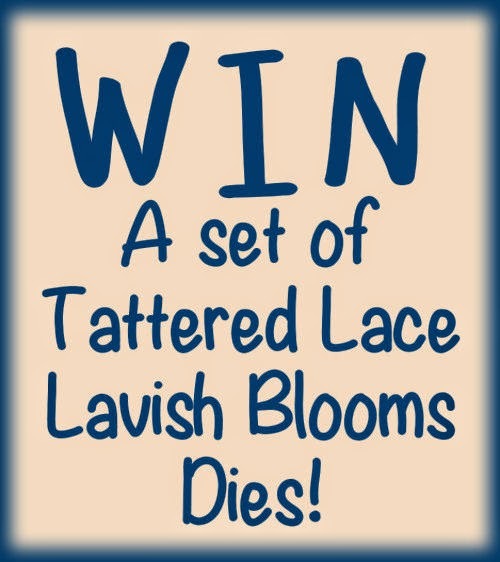 We've got a fabulous price to give away to one lucky winner: A set of Lavish Blooms dies from Tattered Lace! All you've got to do to win is FOLLOW our blog and the Tattered Lace Challenge blog (use the links over on the right hand side of each blog to become a follower) and we'll enter you into our prize draw. PLEASE make sure there is a contact option on your blog profile - we will be forced to pick another winner if we're unable to email you directly and easily. Please feel free to share the link on your own blog to drive traffic to this post, you can also use the image below as a link on your own blog. The dies will be shipped directly from the supplier so please be aware that any shipping address you supply will be passed onto Diane Peternal. The winner will be picked at the end of April and notified at the beginning of May - we will publish the winner on the blog and on our Facebook page.